Hello lovely friends! I hope you are all having a good weekend so far. Mine started badly yesterday, when I waited with my mother for four-and-a-half hours for a meeting with a heart nurse, who turned out to be a 'no show'. Unfortunately, I didn't have a number that I could ring to find out what was going on! I started by using a circular stencil, made by die cutting a piece of card-stock and sponged through it lightly on to a white card base. Then, I took a poppy stencil and used Starlight paints (in red and green) to paint the poppies and left it to dry. Next, I die-cut a frame from a scrap piece of white card-stock and adhered it around my focal piece. 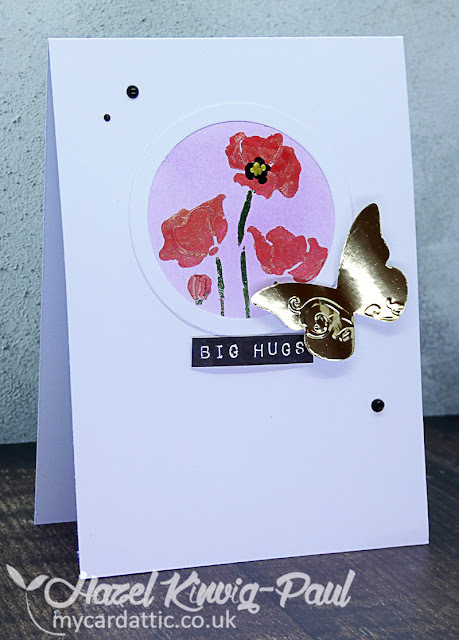 Then, I die-cut a butterfly from gold foil card, stamped a sentiment in black, fussy cut it out and adhered both with foam for dimension. I finished the whole thing off with some black enamel accents and some gold Nuvo drops. This is gorgeous! Love the flowers and that beautiful gold butterfly! Glad y joined us at FMS! Lovely card, Hazel. 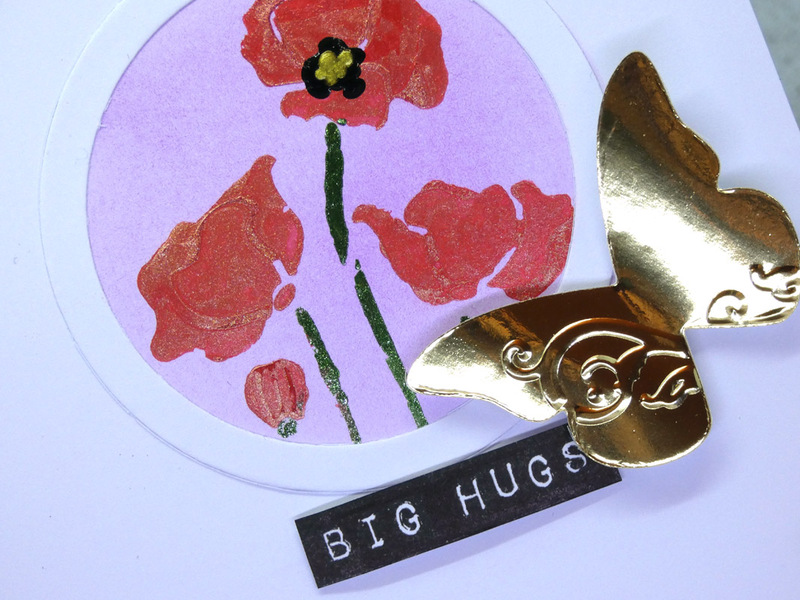 Your gold butterfly adds such an elegant touch. Hazel, what a wonderful card for the challenge. 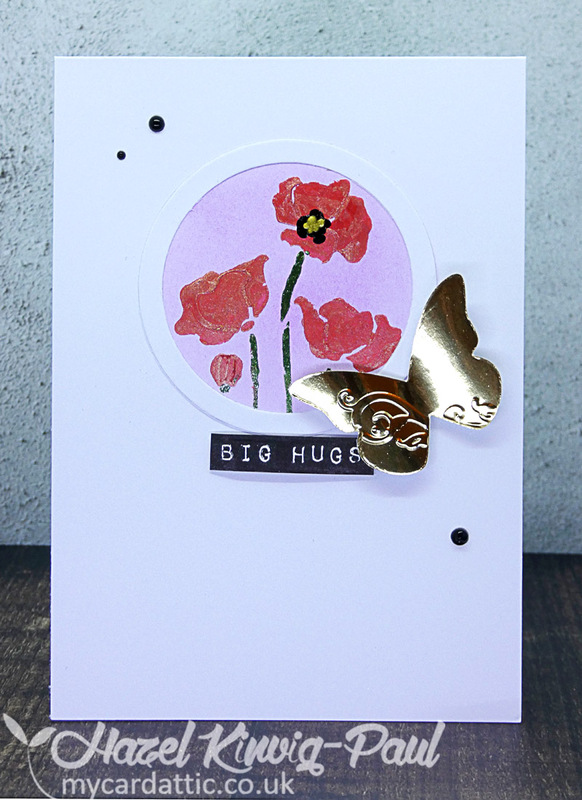 The butterfly is so pretty in gold, and your poppies are stunning and sparklie. Just lovely. Lovely use of the sketch! your embossed gold butterfly is the perfect accent for those lovely flowers - have a wonderful week! 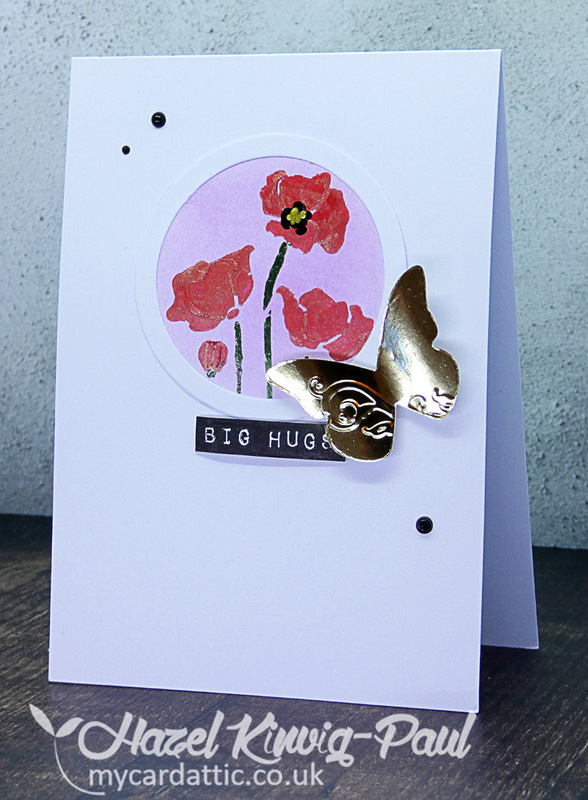 Gorgeous poppies and a very elegant butterfly, Hazel! Lovely! I hope you have a great week with no more long waits! 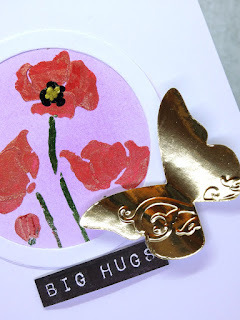 So beautiful...your poppies are so pretty and that gold butterfly is amazing! 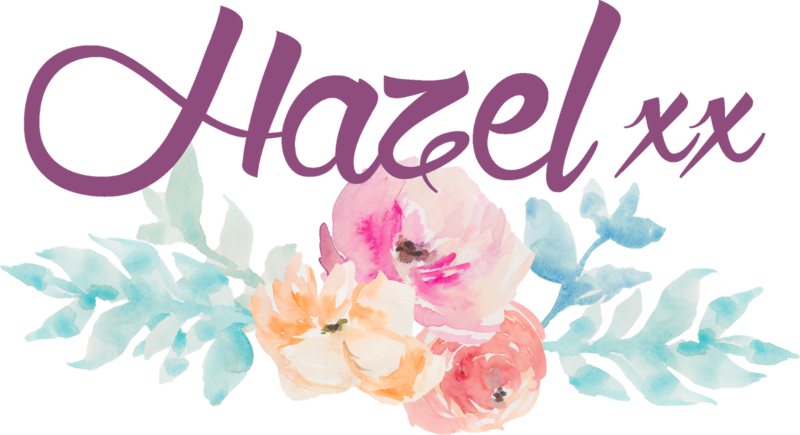 Beautiful card, Hazel! Such pretty images and the font of the sentiment works so well with the flowers. Thanks so much for joining us at Freshly Made Sketches. Your shimmery, metallic, embossed butterfly looks so pretty on the circle of flowers! CAS Mix Up - 1st Blogaversary! Sometimes, all you want to do . . . The Other Half . . . It's an ill wind . . . .
A BIG Thank You To Every One Of You!